The reality is that these “strikes” are not the culmination of an organic movement of disgruntled and beleaguered employees. Instead, they are nothing more than Potemkin village protests — comprised of few or no actual Wal-Mart employees — that are organized by the country’s labor leaders to smear the nation’s biggest retailer. But you won’t see those national labor unions on the front lines, at least at first. Instead, you’ll see an organization called OUR Walmart, which represents the unions’ latest strategy in combating their storied foe: “worker center” front groups. 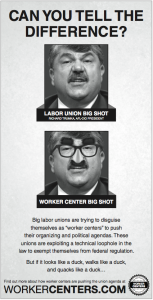 Worker centers look like unions, spend like unions and protest like unions. But since they don’t technically negotiate with company management on workers’ behalf, worker centers technically don’t have to register as unions under federal labor law. They are typically registered as nonprofit organizations — the same designation as churches, charities and schools. Black Friday has come and passed and with it, the UFCW’s nonexistent “momentum” toward potential unionization. 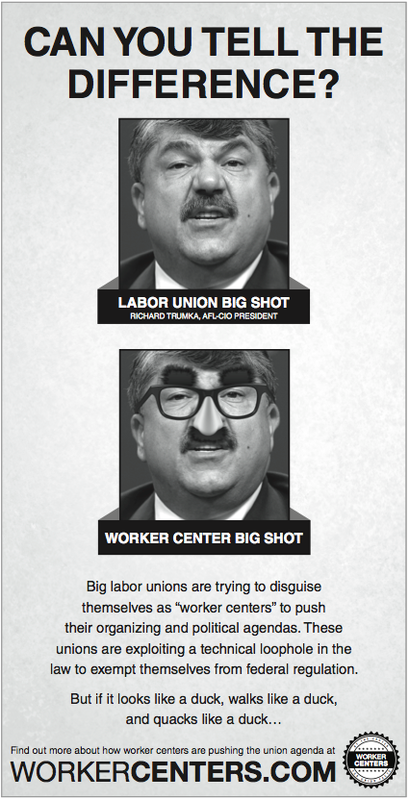 But despite this failure, the SEIU’s Fast Food Forward front groups are readying themselves for action this Thursday. If it’s anything like UFCW and OUR Walmart, employees won’t be “striking”: They’ll be working while unionists protest.